“I think we got ourselves a convoy"
So, Truck Platooning…yet another project I remain indecisive about. Effectively grouping vehicles into platoons therefore decreasing the distances between cars or trucks using electronic coupling. This capability would allow many cars or trucks to accelerate or brake simultaneously. The aims being, cheaper fuel bills for businesses, lower emissions and less congestion for other road users. It should also allow drivers to undertake other tasks, such as administrative work or making calls. Mercedes has already invested £44m into platoon testing in the US and concluded that there is no business case for Truck Platooning - and that’s even taking into consideration the long straight roads that often may be fairly empty. Yet the UK Government says trials here will proceed as planned. So why do we think it will be any better in the UK? And allegedly convoying should only be implemented when traffic flow is appropriate to allow efficient use of the active technologies. “Are there any UK motorways which aren’t affected by congestion caused by one of the following? Bad drivers, lane restrictions, road works, accidents or adverse weather conditions?" Shout out to DAF Trucks for providing 3 platoon enabled trucks for the trials – let’s hope your generosity won’t be wasted. As whilst the potential benefits sound great, I can’t see how this can work in practical terms on the UK’s road network – so I for one am looking forward to hearing the results of the trial in due course. Truck platooning works on two of the industry's greatest challenges – fuel efficiency and safety. 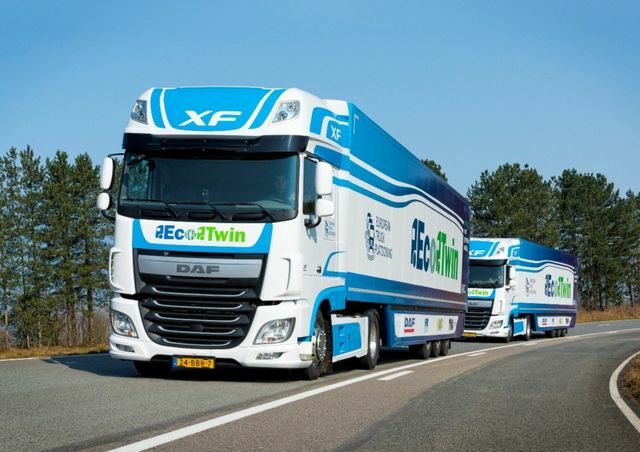 But what are the use cases for platooning? The challenges? Go Go Gadget Mobility Vehicle! Driving under the influence of hay fever tablets! Don't understand it, so should you vote?? ‘Appropriate questions the recruiter should ask. Not ever… "Will you get pregnant and leave?" You’re working way more than 40 hours a week? More fool you!